WASHINGTON — The vice chairman of the Bladen County Board of Elections abruptly announced his resignation as the North Carolina State Board of Elections continues its investigation into potential election fraud in 9th Congressional District race there. 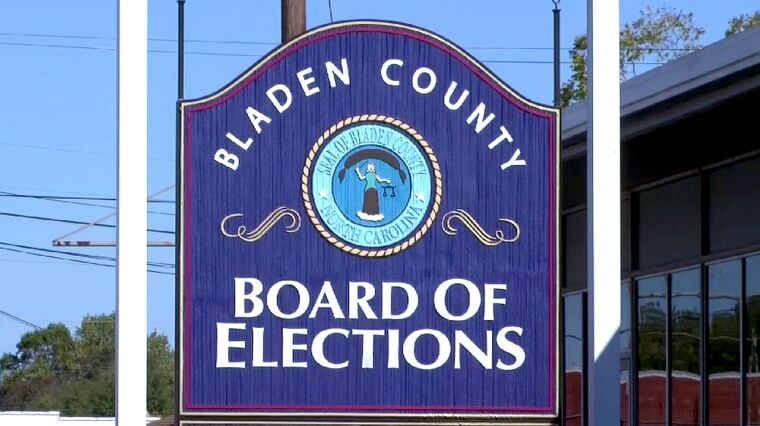 Rural Bladen County has become the epicenter of the investigation into irregularities with absentee ballots involving third parties allegedly collecting handling them. It is illegal for anyone other than family members, legal guardians or official delivery people to turn in ballots. The state board of elections has voted twice not to certify the election results of the ninth district congressional race between Democrat Dan McCready and Republican Mark Harris. After Election Day, Harris appeared to be the unofficial winner by 905 votes. The board has also stopped the certification of the results of several local in races in the district. Since the board of elections announced its investigation, McCready has withdrawn his concession. Harris has said he would support a new election, which the board has the power to call for, if the investigation finds enough widespread fraud to call the results into question. Central to the investigation is Bladen County resident McCrae Dowless, the county's soil and water supervisor, who was hired by the Red Dome consulting group to do work for the Harris campaign on grassroots and get-out-the-vote efforts. The names of Dowless, members of his family and other associates appear as signatures as witnesses on absentee ballots, according to documents released by the state board of elections. According to the personal accounts of some voters, some of those same individuals attempted to collected their absentee ballots, promising to submit them. "Overall, I'm a Democrat, but I've never been one to stay where I'm not wanted,” Lutz told WECT. “It came to my attention yesterday that some in the Democratic party are not happy with me. I'm getting hit on both sides, including my own party. I just thought it was time to step down."